While I really enjoyed Rebecca Makkai’s The Hundred-Year House for taking a literary, realist approach to the ‘ghost story’, I have to say it was delicious to read something with ‘supernatural enhancements’ of the literal and classically eerie kind. Nestled in the isolated woods of Virginia, a creepy estate named Axton House with rumors of a ghost. Its eccentric and increasingly reclusive owner, Ambrose, suddenly dead. A suicide. At the same age and in the exact manner as his equally eerie father years ago. The butler, the last remaining servant of Axton House, vanished. The nearest neighbors recall the bizarre group of men who gathered at Axton House each year just prior to Christmas, upon the winter solstice.Ambrose’s lawyer greets the only recently discovered distant relative who has inherited the Axton House estate. The relative, named only as “A.” in the story, arrives with a younger mute companion, an Irish teen named Niamh with bright dyed hair and a punk style that contrasts here silence. In communication with an “Aunt Liza” back in England, A. and Niamh begin to explore the physical estate (from the haunted mansion to a garden maze) and the history of its owners and their associates to discover the secrets of Axton House and a special all-seeing crystal eye. The novel is written unconventionally, in a way that at first I feared would be gimmicky and annoying. Thankfully it felt neither. The story is related through a variety of records: diary entries, dream journals, Niamh’s notepad, letters, and transcripts of audio and video recordings. This creates a very effective situation where the reader is given exquisite details, but only in very limited contexts. These details need to be pulled out and fit together, and one must equally remember what isn’t being told or shown. Hence it is like a puzzle where you don’t know what the big picture will ultimately show. 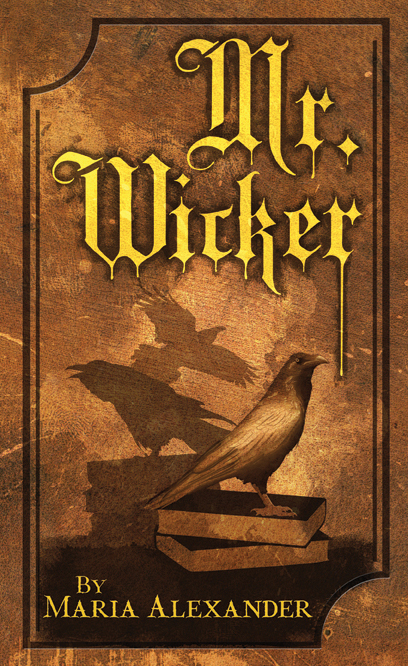 The press describing this novel with words such as ‘clever’ ‘gothic’ and ‘fun’ are spot on and succinctly sum up the sheer joy that is The Supernatural Enhancements. 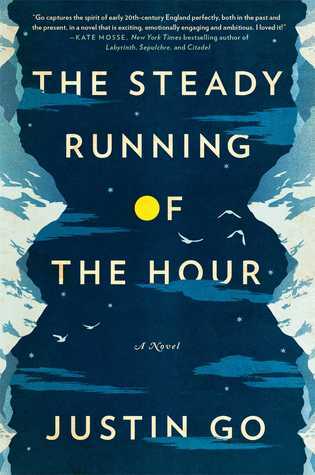 This book truly felt like reading a children’s story again, but with adult themes within, for the ultimate effect of it all stands on the challenge of puzzle solving and the thrill of unexpected chills. Full of cryptography (messages one can attempt to decode) in various forms, each discovery only opens further mysteries and surprises. Honestly, not everything was a surprise for me, I easily foresaw the role of certain characters. However, there were enough unexpected revealings of plot and twists to keep me pleased. I don’t want to ruin the nature of the secrets, but I can safely explain that I really enjoyed the union of the haunted/fantastic with a dose of scientific (neurobiology and quantum physics really) theory or speculation. This science element verges at the edge of actual scientific speculation and pseudoscience, the perfect spot for this kind of story. The measured placement of The Supernatural Enhancements at this zone between the fantastic and that speculative region just beyond the limits of what science currently can describe is referenced throughout the novel with mention of The X-Files and Mulder & Scully’s relationship. The story is set in the early years of the show’s run, and features other pop-culture references of the time as well. Just as The X-Files references the gothic, occult fantasy of the first half of the novel, a lovely reference to the classic PC game The Secret of Monkey Island gives a perfect nod to the treasure-hunting and puzzle-solving aspects of the second half. The Mulder & Scully metaphor can also be extended in some respects to the relationship between A. and Niamh. This is not in the sense of faith vs. doubt that the two X-Files characters embodied. Rather, it is in the ambiguity of the emotions in their relationships. Niamh is described as being there to protect A. Yet, A. also shows the drive and ability to protect Niamh. They also obviously have deep connection and the apparent potential for romance, but their relationship seems to be platonic. This ambiguity that Cantero uses with A. and Niamh is absolutely brilliant, particularly given the novel’s ultimate close. 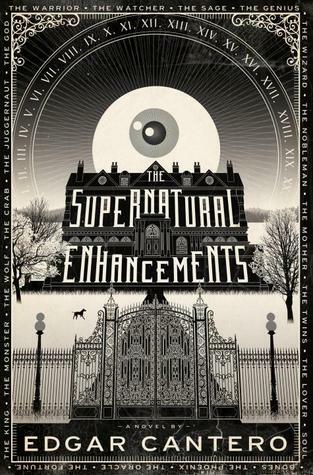 I really can’t think of much that I didn’t enjoy about The Supernatural Enhancements. It is entertaining, it has a good amount of depth, it is clever and challenging in the puzzle solving aspects, it is just all-around well written. Given the inclusion of non-standard elements like mazes and cryptograms and the like, I’d definitely recommend getting this in actual hard copy. I’m really eager to see the cover in reality and not just on a screen too. This is a book that I’m getting my own physical copy of to hold and enjoy again. Disclaimer: I received a free advanced electronic reading copy of this from Doubleday via NetGalley in exchange for an honest review. NOTE: Ending 28th July, 5 copies of this book are available to win from Doubleday through the Goodread’s Giveaway Program. Go here to sign up for the giveaway or to add this to your To Read list. by Edgar Cantero from Doubleday. Wow, is this one great fun! One of the titles on this enticing list I’ve reviewed (The Hundred-Year House) and one I have on hand to read and review soon (Last Stories & Other Stories). I have my eye on a few others to get at some point, particularly Sharona Muir’s Invisible Beasts. Tumblr. Time to catch up on Peter V. Brett’s novels. Above all, collections by Kate Elliott & Hannu Rajaniemi look really intriguing. I don’t always notice all news, so if there are new releases or upcoming titles that you are excited about, let us know in comments. Publishers, if you have any release info/news to share or requests for review, see here. The cover to this collection popped out to me on NetGalley, and the name Matthew Johnson immediately rang a bell of vague familiarity. I knew I’d read a lot by the author, mostly in Asimov’s Science Fiction, and also in The Magazine of Fantasy & Science Fiction and respected online publications like Strange Horizons and Fantasy Magazine (the latter now merged into Lightspeed). I recalled his name with fondness, not a sense of trepidation. But I couldn’t really remember any particular story clearly from a title, nor did I have any sense in my head of what kind of story Johnson writes. Going through this grand debut collection of twenty-two stories spanning over a decade of productivity, I begin to get a sense why. Johnson’s writing doesn’t fit neatly into a single sub-genre mold, nor within the confines of any particular style (to my note). His stories are incredibly varied within the vast SF/Fantasy field and the breadth of markets where he has published is a testament to how well he can move across the spectrum. While reading the contents didn’t jog specific memories, several of the stories became immediately familiar once starting them anew in this collection. With that special joy of rediscovering something beloved but neglected I savored this group of stories, notably “Another Country” and “The Afflicted”. Though I recalled loving each originally, I had never connected that they were written by the same person, likely because these two stories are very different on the surface – one an alternate history or time travel mashup of sorts and another a post-apocalyptic zombie tale. Yet both feature a strong emotional resonance that reaches beyond the plot. For Johnson’s stories are full of realistic characters with basic human struggles that readers can relate to. Even when those characters are temporally displaced Romans struggling in present day culture and bureaucracy, or a young woman trying to provide medical aid and hope to the populace of a plague-ravaged wasteland. Others, including in the introduction to this collection, have discussed the importance of language and communication as a defining characteristic link between Johnson’s stories. 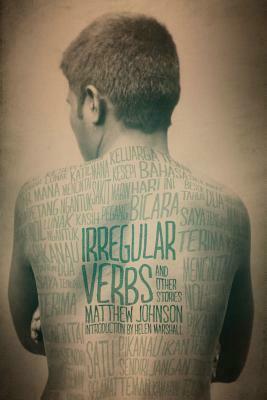 This theme is certainly present in several stories here, mostly notably the title piece of the collection, “Irregular Verbs”. New to me, this opening story is profoundly powerful and moving, the type of short story that should be featured in a Best of… literary collection regardless of the fantasy ‘created’ world in which it is set. A perfect tale tot start this collection, because you don’t want to stop reading after it closes. The plot and culture of Irregular Verbs rests on this theme of linguistic communication, of words. I believe a better (well more accurate) common theme between Johnson’s works, however, involves the setting. It isn’t so much as Johnson’s characters are struggling to find the proper precise words to communicate, it is that they are struggling to exist in a time and a place where they are not really meant to be. His characters are ‘fish out of water’ or ‘strangers in a strange land’. For instance in the wonderfully spooky “Beyond the Fields You Know” (the sole story I’d classify as horror in the collection) the child protagonist is enticed into a dark, magical realm of slavery, a place and position he should not be in, and that of course he is trying to find escape from. And sometimes the character learns that the setting they are trying to free themselves from is actually what they need most (“Closing Time”). In others (“The Dragon’s Lesson” or the previously mentioned “Another Country” and “The Afflicted”) the characters struggle to maintain a personal culture or moral outlook that is in direct opposition to the society they find themselves within. With such a large collection as this with stories varying in every way imaginable, including from humorously light to deeply serious, it is likely that there will be some things in this collection that you might not like as much as others. And that’s okay. There are a few authors out there who I can adore for each thing they produce, but many quality writers like Johnson who will produce something amazing one day and something that just isn’t my cup of tea the next. 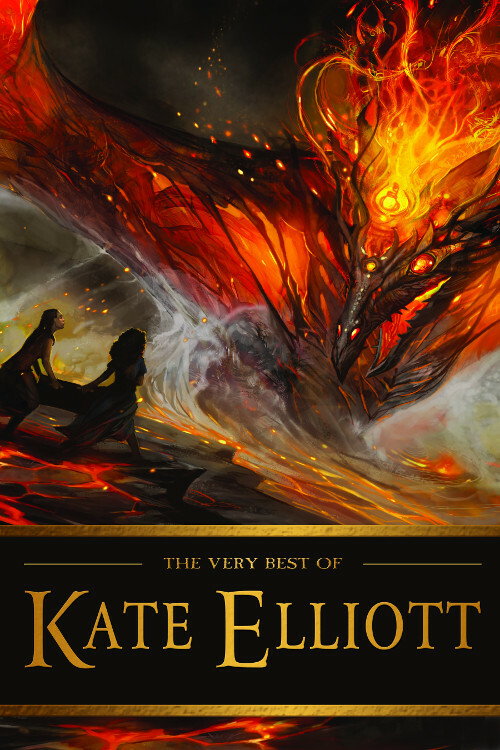 The high points of this vast collection, though, make it an easy recommendation for any fan of speculative fiction, particularly if you are someone that normally doesn’t read the shorter published works out there. A handful of exceptional tales that deserve universal note beyond the realms of genre (such as the lead-off “Irregular Verbs”) also should give this collection a certain broader appeal. Disclaimer: I received a free electronic reading copy of this from ChiZine Publications via NetGalley in exchange for an honest review. I had wanted to review this novel closer to its initial release, but my reading queue was just too full at the time and the opportunity unfortunately had passed. I was happy then to learn about Crown Publishing Group’s Blogging for Books program and request this for my inaugural selection. The plot description seemed like something that would be right up my alley, a genre mashup between the gritty, hard-boiled, noir thrillers you might expect to find in the Hard Case Crime lineup and a dystopian, post-apocalyptic sci-fi setting. Count me in for the fun. And I wasn’t disappointed. I cracked this open not long after it arrived and finished it within a couple of sittings over the course of the day. If I were able I probably would have just torn through it in one, and would have had just as much fun savoring it. During the opening section of the novel I wondered why it had the sci-fi setting to it, the story could have just as easily existed in a present reality. Thankfully my worry dissipated as the novel continued and the science fiction element became integrated seamlessly into the plot beyond the post apocalyptic setting. Shovel Ready is set in a near future New York City that has been decimated by a terrorist dirty bomb detonated in Time Square. This event, in conjunction with smaller coordinated bombings and follow-ups has a greater psychological and economic effect on the city in aftermath than the actual physical destruction it causes. New York becomes fragmented between a wealthy upper-class able to hire security and care in high-rise apartments, permitting their retreat into virtual reality utopias, and a lower class seeking to survive in the lawless rubble below. If they choose to stay. 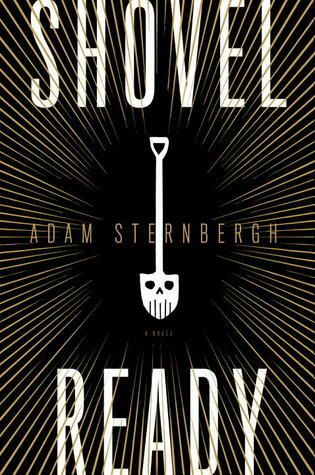 As in Delaney’s Dhalgren, the New York City of Sternbergh’s Shovel Ready is an isolated zone of chaotic culture, an apocalyptic blip within an America that otherwise may be completely ‘normal’. The people who have chosen to stay in New York have nothing else, are committed to its condition and either the opportunities or curses it provides. The novel thus fits into a fascinating area of apocalyptic literature where the disaster and subsequent conditions are relatively localized. Within this environment is the protagonist and narrator of the novel, Spademan, a former city garbage collector who lost his wife in the initial dirty bomb-related attacks, and who now survives as being a dispassionate hitman operating under a strict professional code. Despite wanting to keep a professional distance from his clients and targets, Spademan finds that his latest client is a powerfully famous religious leader (cultish one may say) involved with providing the hopeless ‘heaven on Earth’ through virtual reality tech. More problematic, the target given to Spademan turns out to be his client’s own rebellious daughter, and she may not fit into Spademan’s code. Spademan is a fantastic character, worthy to fill the pages of any pulp or ‘serious/literary’ crime novel. Sternbergh does a fabulous job introducing the reader to the flawed and vulnerable character, establishing the rules of his hitman profession, and slowly divulging the details of his past that have led him to his current employment. Mixed into the great hard-boiled protagonist creation Sternbergh includes many noir hallmarks, from shady thugs, double-crosses, big bad crime leader villains, and a femme fatale. Spademan’s initial target, who becomes an asset he desires to protect fits the femme fatale mold generally well. On a surface level she seems painted the weak female needing a strong male figure (a rather awful misogyny of course on its own), but in reality she is in greater control, and more capable, than one may think, and from the start Spademan learns that she can pack a deadly bite. In some way these noir aspects of Shovel Ready make it familiar and expected. This could have led it being a decent, slightly above-average hard crime story. The setting and the use of the virtual reality technology as an integral element to the plot make this rise above to something even better. While becoming relevant to the plot, the technology is also used as commentary for class division in this post-apocalyptic New York. While this ‘have vs have not’ kind of message is nothing new or handled rather superficially here, it is refreshing to see it in the kind of entertaining quick read here that could easily still be an enjoyable novel without its inclusion. By putting the sci-fi aspect in with a dash of blatant social commentary, Sternbergh manages to give a little weight to Shovel Ready without stifling the pure entertaining joys of the thriller. This is a mashup that will certainly appeal to almost all crime/hitman-type story lovers and as a mashup to certain speculative fiction fans. Though I probably shouldn’t encourage more series out there, Spademan and his gritty environment could easily expand into further works, and I’d pick up one of them without hesitation. On the other hand, this makes me curious to see how far Sternbergh’s talents extend. Disclaimer: I received a free copy of this from Crown Publishing via their Blogging for Books program in exchange for an honest review.